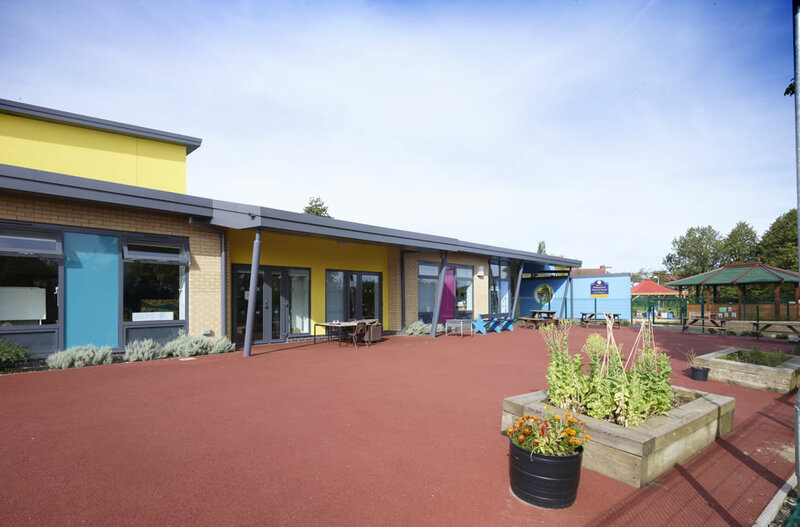 A new 270 place Primary School with a 26 place Nursery unit was completed as part of Frank Shaw Associates’ long running work for Derbyshire County Council. 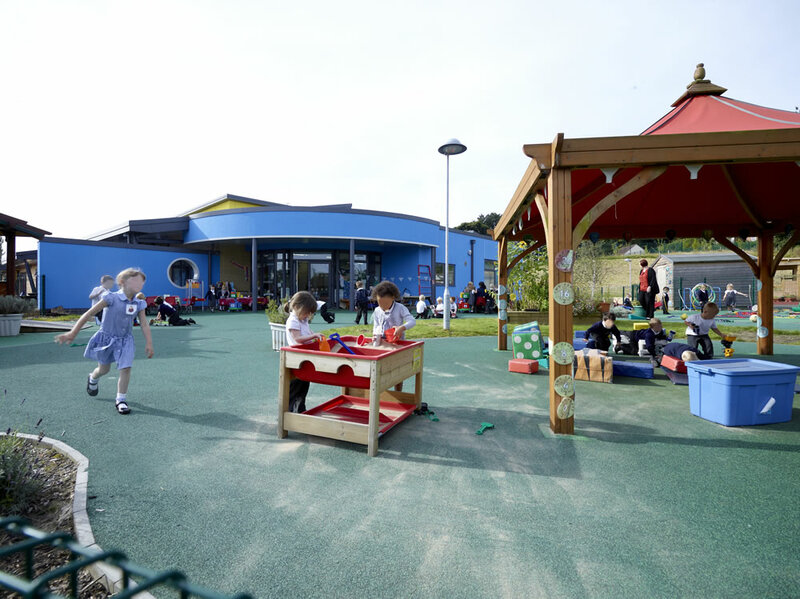 The new school was built in two phases while the current school was still operational. 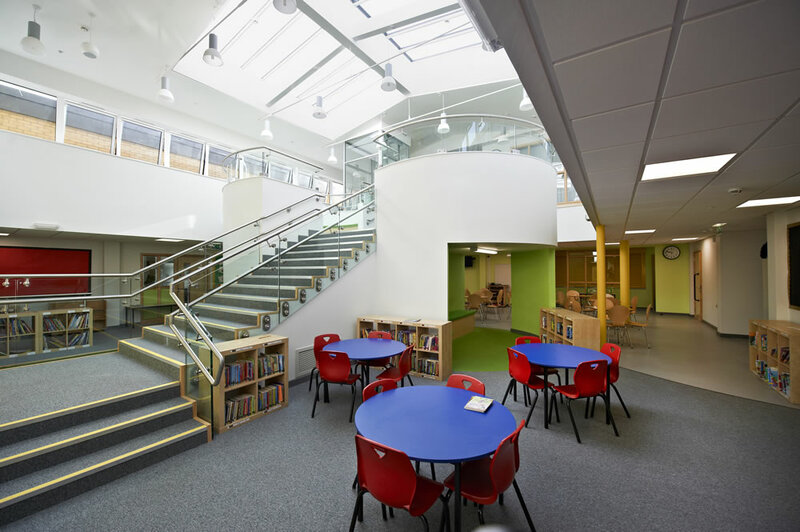 Designed to take full advantage of the site’s topography, the new school is approached on two levels; one for the staff and pupils and one, across a bridge link, for visitors. 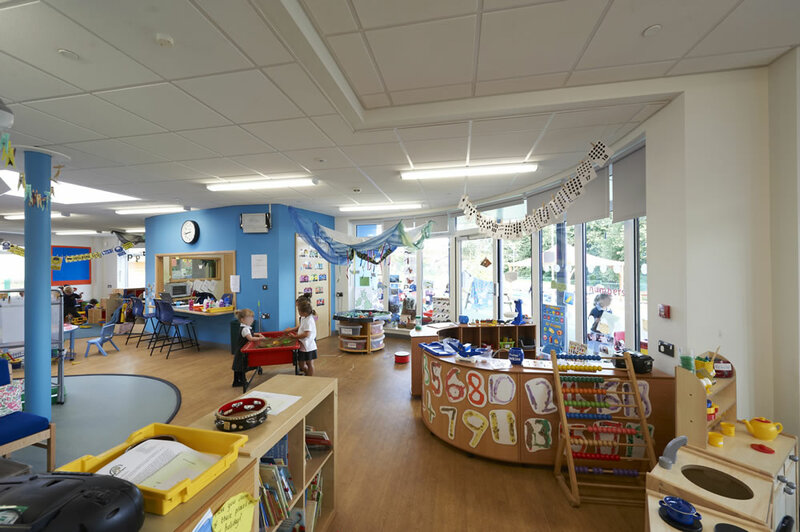 Internally, flexible areas have been incorporated into the traditional classroom layout to allow for new teaching methods and potential future expansion. A double height space at the heart of the building is enhanced by ‘chill-out’ pods overlooking the open café style permanent dining area. To help conserve resources the naturally ventilated building incorporates various cutting edge features such as ground tube passive cooling, rainwater harvesting supplying water to classroom based WCs, and photovoltaic panels, providing a significant proportion of the building’s energy requirements.